A great coincidence, is that once again I match my outfit with the location, this time in New York City. 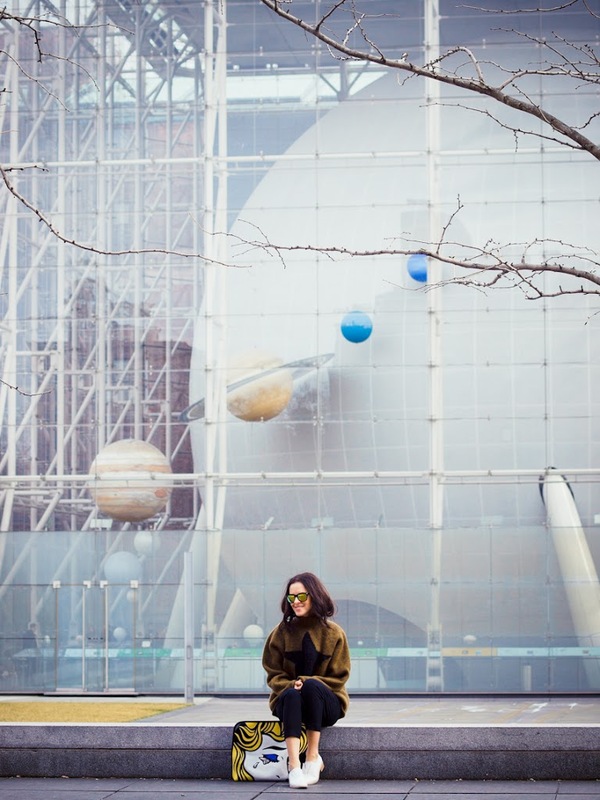 The main piece from my second outfit from New York was this J Crew star sweater and the fun part was that we pass by The Rose Center for Earth and Space at the American Museum of Natural History, and we decided to take these photos right there. 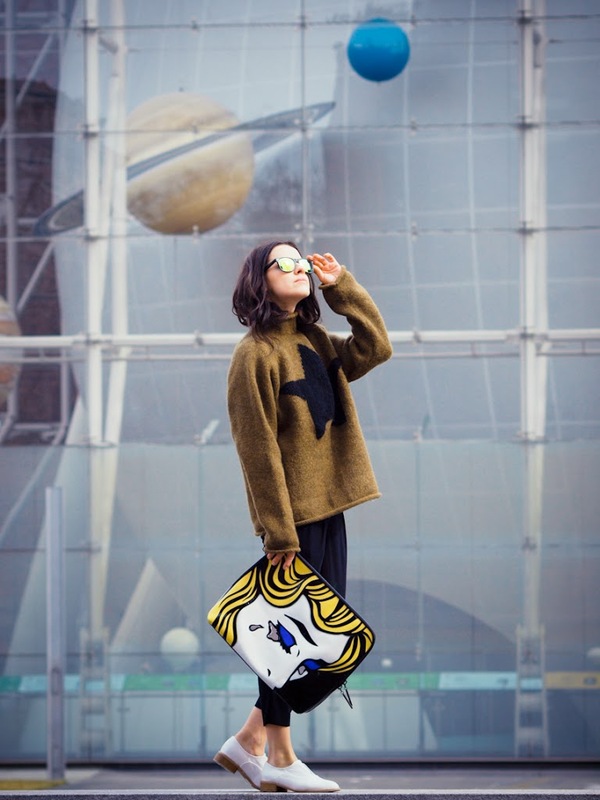 Univers, planets and stars...Oh my! Gorgeous shots sweetie, is it really that time of the year already? Happy B day! Love the oversized PL clutch! 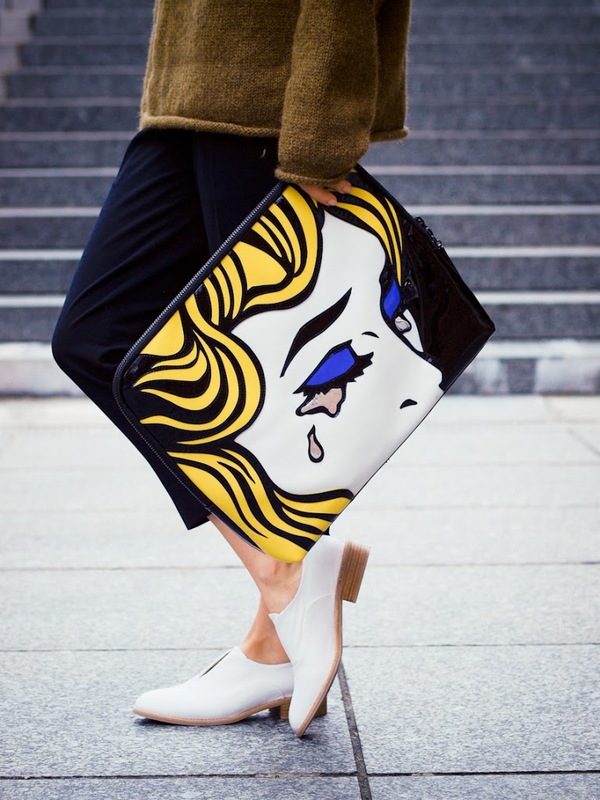 that bag is a STATEMENT! love it! Very very nice look !!!! 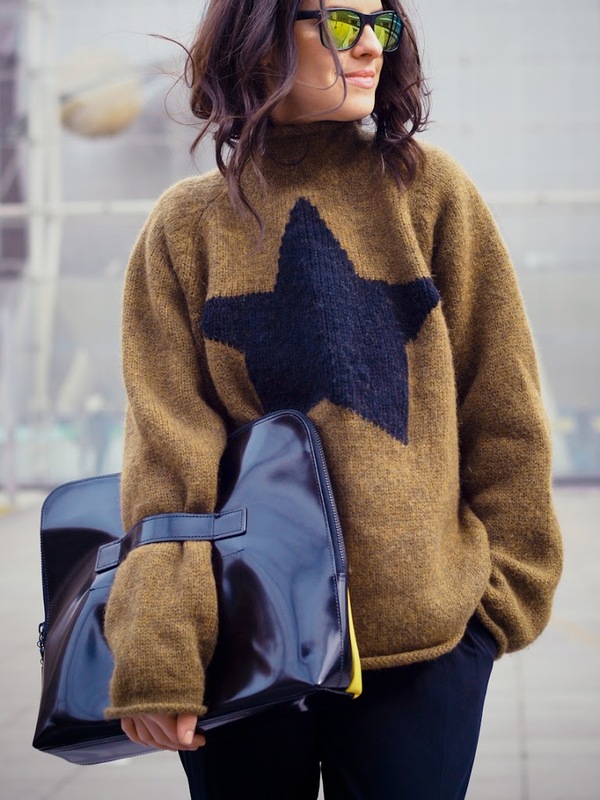 In love with the gorgeous bag and sweater of yours! And also love the way you wear it over your sweater’s sleeve just like the models did during Jil Sander’s fall 2013 show! Great outfit! Thank you Andrea! No I din’t know, do you have a link? such a cool and comfortable look! I love the bag so much!!! 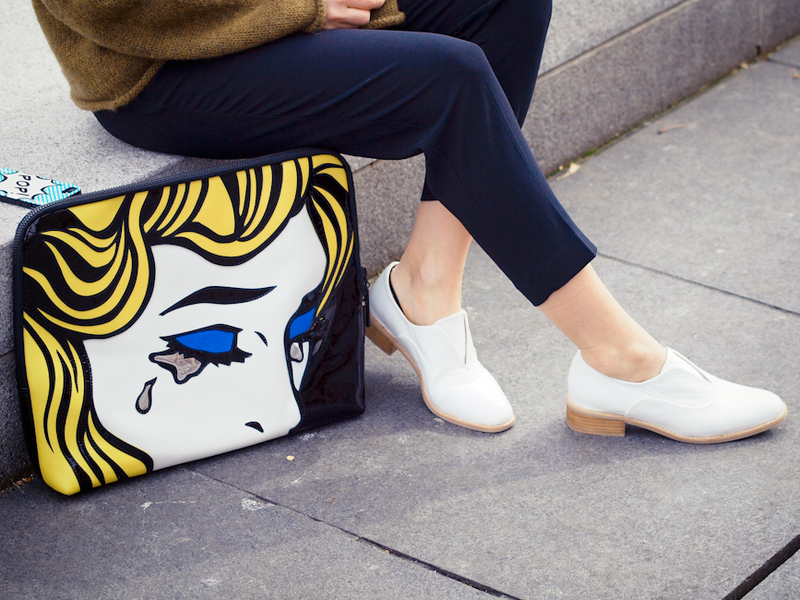 Such a fabulous bag – Absolutely MAKES the look! Oh how I’m in love with that clutch. 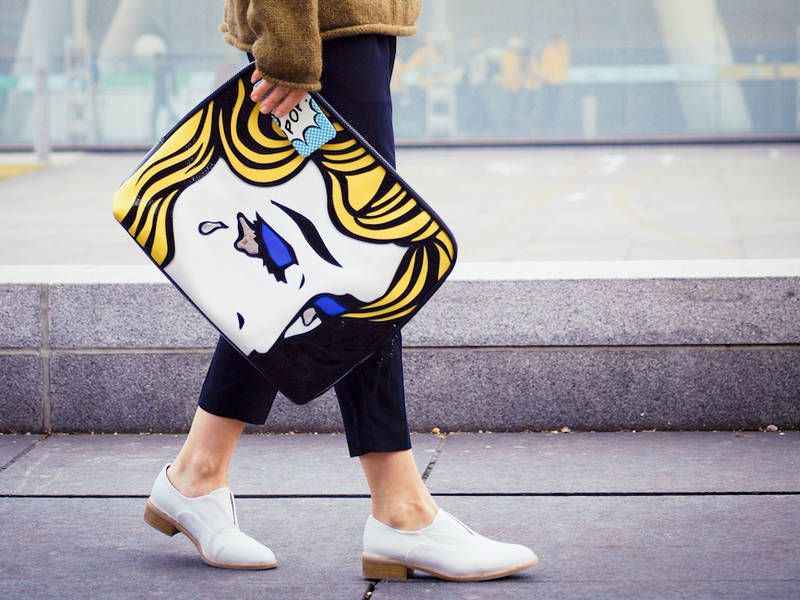 That bag is beyond fabulous! Love this look! Awesome look dear Veronica! I heard that it was super cold there but you managed to stay stylish and stunning as always! That clutch! Ah I love it!